Must be certified or eligible for SC certification in Elementary Education. 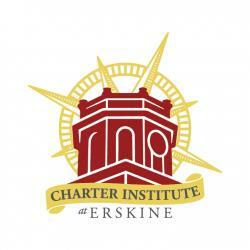 BELTON PREPARATORY ACADEMY (Sponsored by the Charter Institute at Erskine) 5901 Belton Highway Belton, SC 29627 Phone: 864-314-0035 School Year: 2019 - 2020 Terms of Employment: 190 Days, Full-time Salary Range: $33,500 – 53,500 Minimum Qualifications : Holds a valid SC Teacher Certificate/License or will be eligible for Certificate/License within 60 days of school start date. Job Posted : 4/15/19 Deadline: Positions will remain open until filled. Reports to: Principal Email resumes to bpacharterresumes@gmail.com . ESSENTIAL DUTIES: Create a positive educational climate for all students. Take all necessary and reasonable precautions to protect students and create a safe learning environment. Foster and maintain effective communication with parents and/or guardians to support student performance and progress. Plan, prepare, and create lesson plans that are reflective of established curriculum and state standards. 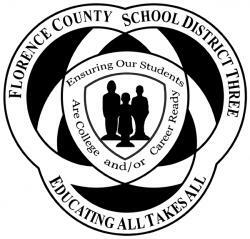 Provide quality instruction based on established curriculum and state standards. Establish and communicate clear objectives for all learning activities. Implement differentiated instruction and/or instructional strategies that are reflective of best practices. Assign and grade class work, homework, tests, and assignments as appropriate. Maintain accurate, complete, and correct records as required by law, school policies, and administrative regulations. Collaborate in grade level teams to discuss student work, share best practices, and ensure student mastery of standards. Use relevant technology to support instruction. Participate in ongoing training sessions and professional development as required. Assist administration in implementing and upholding all policies and/or rules governing student life, conduct, and behavior in a fair and just manner. Take all necessary precautions to properly care for all property, equipment, materials, and facilities. Supervise instructional aides and volunteers as assigned. Follow all Board and school policies, work procedures, and reasonable requests by proper authorities. Perform other related duties as required. PROFESSIONALISM: Demonstrate professionalism and appropriate judgment in behavior and speech. Dress in a neat, clean and professional manner for the assignment and work setting. Maintain regular and punctual attendance. Present a positive image of Belton Preparatory Academy at all times. Duties: Plans and provides a program of academic instructional services to blind/visual impairment students at the School for the Blind. Conducts a comprehensive educational program that includes: assessing students' academic and habilitative needs, implementing curriculum (long and short terms, objectives, lesson plans and assessments), developing and utilizing appropriate teaching methods, and carrying out the IEP program. Plans, prepares and implements Individual Education Plan (IEP) of instruction for all assigned students. Maintains required documentation to include: student attendance, progress, difficulties, needs, etc. Qualifications: Requires Bachelor's Degree and South Carolina Teacher Licensure in Early Childhood or Elementary and Certification in Visual Impairment. Must have the ability to plan and implement IEP's and carry out programs to met student needs. Must have knowledge in pre-braille teaching strategies, literary braille and Nemeth Code. Must be familiar with basic O & M techniques, as well as basic assistive technology devices and programs.